Junior Fireman/Jr. Health Attendant- Age Between 18 to 27 Years. Pharmacist- Passed D.Pharm and Registered with Pharmacy Council. Nurse- Passed Highschool and ANM Course. Junior Assistant Steno- Passed Graduation and 30 wpm Typing Speed and 80 wpm Shorthand Speed and 6 Month Diploma in Computer Application. (Note- For More Details and Physical Eligibility Check Official Notification). Open Recruitment of Non Executives for Northern Sector on Regular Basic. Click on Recruitment Notification of Class III, IV Post for Gujarat. 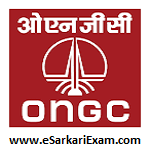 Open Online Application for Recruitment of Class III & IV Post for Gujarat and Rajasthan Link.